Most of the people opt to buy new locks after a certain period of time for the purpose of enhancing the security of their home. However, following this practice may burn a hole in your pockets. The ideal practice is to hire the lock rekeying services from a renowned locksmith service provider. There are various tutorials available on the internet that teach you to do the needful by yourself, but it is most recommended to leave the work to the professionals to save yourself from the troubles and hassles. Why is Lock Re-keying Important? 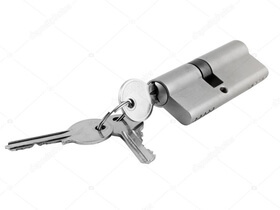 It is important to rekey the locks of your home once in a while under normal circumstances as many times you hand over your keys to domestic help or other individuals for various reasons. No matter how much trustworthy they are, it is important to be equipped with all the security measures from your own end. Moreover, in some states in the US, it is mandatory to rekey the locks of your home for the homeowners before the new tenants shift in. Apart from regular keys, make sure you are also getting the master key of your home and/or office rekeyed for utmost protection. Many locksmiths are providing different services i.e. file cabinet replacement keys and lock repair etc. However, the best among the lot is Chiko’s Locksmith. We have become a renowned name in the business due to our premium quality services at unbeatable rates. The factor that sets us apart from rest of the locksmith service providers is our availability 24 hours a day, 7 days a week. 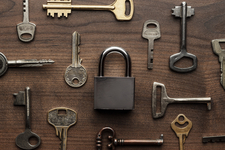 In short, if you want to enhance the security of your home or office do not rely on the traditional method of getting a new lock altogether. Opt for rekeying services from the best locksmith service provider i.e. Chiko’s Locksmith. Whether you are hiring us for lockout service or rekeying the front door, we guarantee superior results at the most affordable rates.